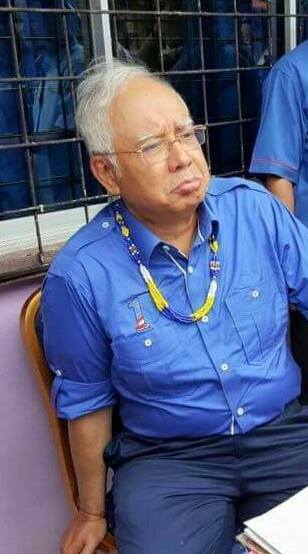 Mat Bodoh dan Minah Bebal. Mat Bodoh dan Minah Bebal…I came across that this morning on FB and without so much as an “excuse me”…my very first thoughts were that it fitted these two to a T.
Two sad excuses for human beings that the Lord above seems to have burden us with so that we understand the need to ensure that none of their ilk would never ever be occupants of Seri Perdana ever again! Remember Mat Bodoh and Minah Bebal…it is enough that they have already darken the world we lived in today for so long already…at GE 14 make sure they will not do so any longer…not even for another day after GE 14! 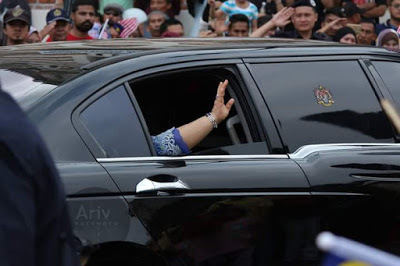 By Hussein Abdul Hamid|2018-07-14T05:43:45+08:00February 11th, 2018|Categories: Uncategorized|Tags: Najib, Rosmah|Comments Off on Mat Bodoh dan Minah Bebal.